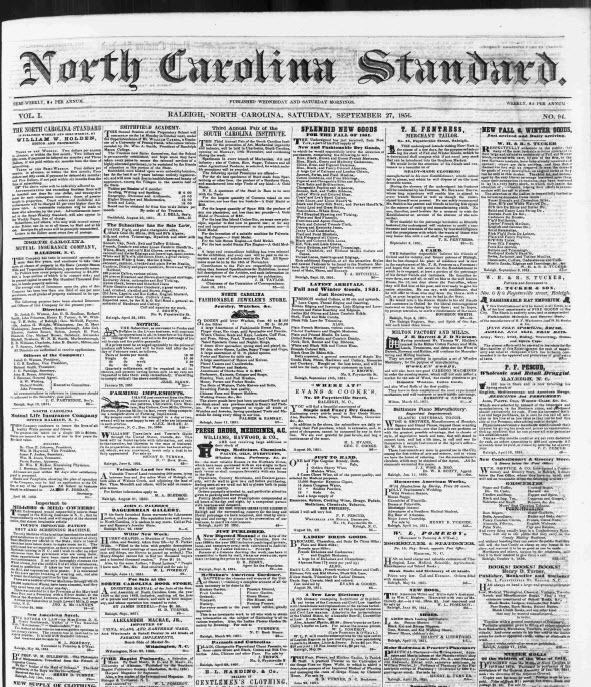 Front page of the North Carolina Standard, Sept. 27, 1851. RALEIGH — Since 1959, the State Archives of North Carolina has microfilmed newspapers from across the state as part of the North Carolina Newspaper Project. This initiative includes more than 1,000 titles published from 1751 until 1898 with the goal of preserving these papers for future researchers. Two new projects, managed by the UNC-Chapel Hill Library, promise to make these materials accessible to the public in ways that might have seemed impossible during the 1950s. The Chronicling America project focuses on newspapers printed between 1836 and 1922 in the United States to make them available online. It is a joint project of the Library of Congress and the National Endowment for the Humanities. A second project with Ancestry.com will provide digital access to newspapers printed prior to 1923 through Newspapers.com. Both projects use newspapers microfilmed by the Collections Management Branch of the State Archives of North Carolina and then digitized for UNC Library. Ancestry.com will allow free access of the Newspapers.com collection to users with a UNC login and on-site at the State Archives, Outer Banks History Center and Western Regional Archives. Access to the Chronicling America online collection is free to all users and can be found at http://chroniclingamerica.loc.gov/newspapers/?state=North+Carolina. To date, UNC Library has overseen the digitization of 100,000 pages for Chronicling America and 1 million pages for Newspapers.com, including newspapers from Asheville, Raleigh, Tarboro, Boone and Charlotte. A full list of the newspapers included in the State Archives microfilming initiative is available at http://www.ncdcr.gov/archives/Public/Collections/NonGovernment.aspx#newspapers. The North Carolina Newspaper Project at the State Archives began microfilming North Carolina newspapers in 1959, capturing papers published from 1751 until 1898 and including more than 1,000 titles. The State Archives and the UNC Library have worked collaboratively on several projects to provide access to citizens and researchers on the wealth of history and information about North Carolina. For additional information, please call (919) 807-7329. The State Archives is within the Office of Archives and History at the N.C. Department of Cultural Resources. This entry was posted in Digital Projects, News and tagged Chronicling America, Collections Management Branch, Digital Projects, microfilm, newspapers, Newspapers.com, UNC-CH on June 9, 2014 by Ashley. Newspapers from North Carolina are now available online through Chronicling America, a joint project by the Library of Congress and the National Endowment for the Humanities to make available online United States newspapers published from 1836 – 1922. The North Carolina newspapers were originally microfilmed by the Collections Management Branch of the State Archives of North Carolina. The North Carolina Collection at the University of North Carolina at Chapel Hill is currently managing the digitization of the newspapers from microfilm, quality control, and other aspects of the project. The first 33,500 pages submitted by UNC to Chronicling America include newspapers from Asheville, Raleigh, Tarboro, Boone, and Charlotte and are available online here. An additional 66,500 pages are anticipated to be added in the near future. Read more about this project at North Carolina Miscellany. This entry was posted in Digital Collections, Digital Projects, News and tagged Collections Management Branch, Genealogy, microfilm, newspapers, UNC-CH on February 12, 2014 by Ashley. CHAPEL HILL, N.C. — Treasures from libraries and archives across North Carolina will soon be at the fingertips of researchers worldwide. The North Carolina Digital Heritage Center (NCDHC) in the University of North Carolina at Chapel Hill’s Wilson Library will be the state hub and conduit to the Digital Public Library of America (DPLA) — an organization that provides a single point of access for millions of books, photographs, documents, sound recordings and moving images from some of the leading libraries and archives across the country. Through a partnership announced Thursday, the center will compile and provide information about North Carolina’s digital collections to the DPLA. The NCDHC is supported by the State Library of North Carolina with funds from the Institute of Museum and Library Services under the provisions of the Library and Services and Technology Act, and by the UNC-Chapel Hill University Library. The Digital Public Library of America debuted in April. “This is a tremendous opportunity for North Carolina to demonstrate the wealth of culturally important materials in our state’s libraries and to give them the broadest possible reach,” said Nick Graham, project coordinator for the NCDHC. The Center offers digitization and digital publishing services to North Carolina’s libraries, archives, museums and historical societies. Since its founding in 2010, it has digitized more than two million pages from the collections of the UNC Libraries and the Center’s partners. The collections are online at http://digitalnc.org. Some of the most frequently viewed items include digitized yearbooks from North Carolina colleges, universities and high schools; student and community newspapers from schools and towns around the state; and growing collections of postcards, photographs, scrapbooks and clippings. Although the NCDHC specializes in digitizing and publishing items from North Carolina’s history, the scope of the DPLA partnership will be much broader. The only requirement is that materials be held by a library, archive or other cultural heritage institution in North Carolina. The State Library of North Carolina and State Archives of North Carolina will be among the institutions that will submit items to the DPLA via the new arrangement. Others include the UNC campuses at Chapel Hill, Charlotte, East Carolina, Greensboro, North Carolina A&T, Pembroke and Western Carolina, as well as independent institutions including Duke, Elon and Wake Forest universities. The NCDHC has already sent the first load of records to DPLA and will add new records every month. This entry was posted in Digital Collections, Digital Projects, News and tagged North Carolina Digital Collections, North Carolina Digital Heritage Center, press releases, State Archives of North Carolina, State Library of North Carolina, UNC-CH on October 25, 2013 by Ashley. In a memorandum dated October 14, 1976 to Paul P. Hoffman, head of what was at that time the Archives Branch of the Archives and Records Section, the late George Stevenson, Jr., outlined his suggestions for changes to the system of cataloging, classifying, and numbering the maps in the Archives map collection. Now, nearly thirty-six years later, I am delighted to announce that Stevenson’s dream of corralling a collection of maps nearly out of intellectual control and imposing on it a reasonable and consistent system for classification and cataloging has finally be realized – although in ways he could not have envisioned in 1976. From the earliest days of the agency, the State Archives of North Carolina had endeavored to create an extensive reference collection consisting of original and printed maps of North Carolina as well as photocopies of appropriate maps in other repositories. By the time of Stevenson’s 1976 memo, the Archives had one of the best collections of North Carolina maps in the nation. At that time, the map collection consisted of 327 smaller collections with town plans, for example, being found in twenty-three different collections. The Archives had employed various standards for cataloging maps in the past, but no standard had ever been established in regard to the information that was reported or the manner in which it was reported on the catalog cards that were prepared for each new addition to the map collection. Stevenson proposed that the Archives adopt the Anglo-American Rules for cataloging maps and that a set of three catalog cards be prepared for each map. One card would be filed under classification (town, county, etc.) and one by mapmaker in the Search Room catalog and the third in an office catalog to serve as an intellectual control device. 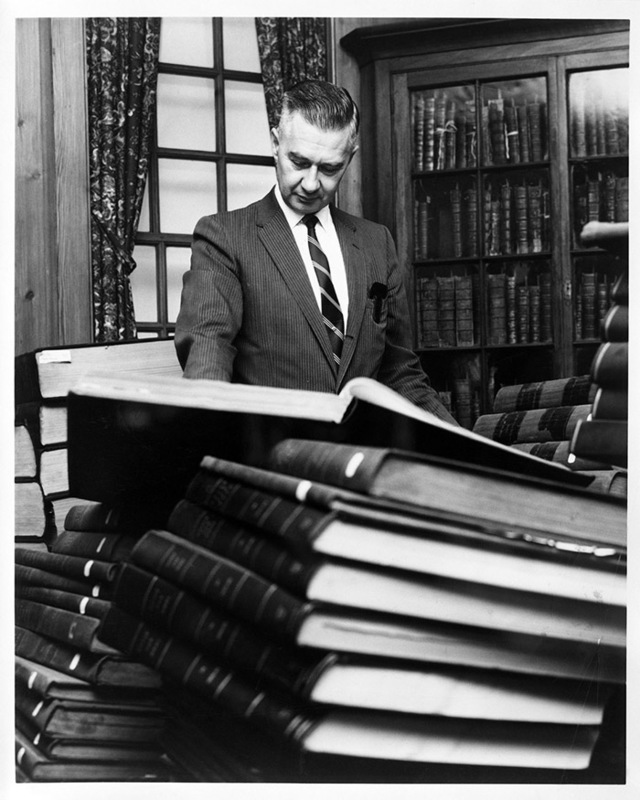 Stevenson felt that the existing system of classification as reflected by the Search Room card catalog was a reasonable one. In this catalog the map cards were arranged in an expandable system of classifications (colony and state, counties, towns, watercourses, etc.). As it related to the maps themselves, however, the cumbersome numbering system thwarted the logic of the classification scheme. To remedy this, Stevenson created a simple expandable numerical system which would make the classification scheme as expandable for the maps themselves as it was for the cards in the card catalog. County maps, for example, would be assigned the same numbers as the county records in the stacks (i.e. Wake County records in the stacks are 099; Wake County maps would be assigned the prefix M.C.99). The second part of the call number would distinguish each map by date and the initial of the mapmaker. For example, the 1871 Fendol Beavers map of Wake County would be given the call number MC.99.1871b. The same system would be followed for other map classifications. Colony and state maps would be M.C.150; maps of the Appalachian region would be M.C.160; military maps and plans of battle would be M.C.175, etc. Certain classifications, such as watercourses, cities and towns, and road and railroad surveys would be slightly more complicated since they would require the name of the watercourse or city to be converted to a numeral (i.e., cuttered) using the Sanborn-Cutter three-figure tables. Maps of the city of Charlotte would be assigned numbers beginning with MC.195.C479 followed by the date and the initial or initials of the mapmaker. The 1877 F. W. Beers map of Charlotte would, therefore, be numbered as MC.195.C479.1877b. Stevenson’s proposals were approved by Paul Hoffman; and Stevenson began work on cataloging and numbering of the maps already in the map collection as well as an enormous backlog of unprocessed maps, but the press of his myriad other duties as Search Room supervisor prevented him from making significant progress. From 1985 to 1987, Druscilla Simpson, now head of the Information Management Branch, was assigned to work full-time on the map collection. This was the first and only time a staff member was given responsibility only for the map collection, and significant progress was made. Still later, work on the map collection was assigned to and became one of the many duties of a series of special projects archivists. By this time, our MARS electronic finding aid system had been developed and map call number and descriptive information began to be entered into it. Although main entry cards continued to be created and added to the Search Room card catalog, the development of MARS eliminated the need for the three card system Stevenson had devised for intellectual control. In the late 1990s, I was assigned responsibility for the map collection in addition to my other duties as archives registrar; and I brought my work with the map collection with me when I was appointed head of the Special Collections Branch in July 2005. In 2007, the State Archives partnered with the UNC-Chapel Hill library and the Outer Banks History Center on North Carolina Maps, a three year grant funded project to digitize and post online all maps from the three institutions published prior to 1923. The project came to a successful conclusion in June 2010 and won the 2011 Award of Merit from the American Association for State and Local History. Galvanized by the North Carolina Maps grant project, efforts were renewed to finally complete the renumbering and re-cataloging of both the remaining maps in the Archives map collection bearing the old M.C. call numbers and the backlog of maps that had never been accessioned, classified, cataloged, and numbered. 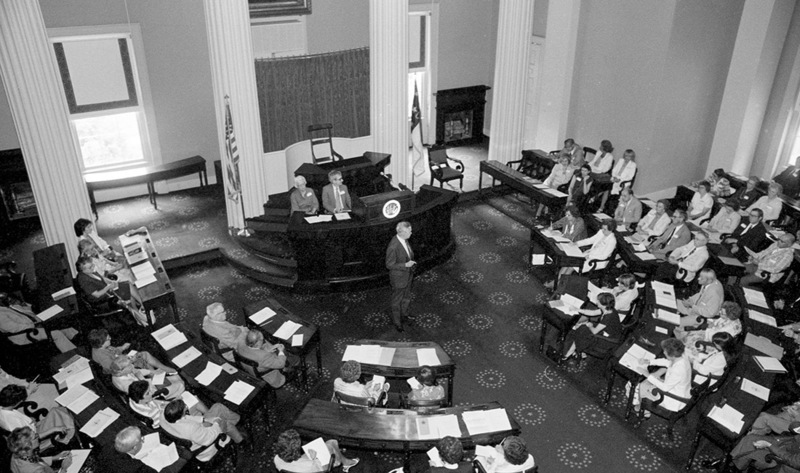 This work was finished in the spring of 2012; and for the first time all maps in the possession of the State Archives of North Carolina have been cataloged and numbered using the system first proposed by George Stevenson, Jr., in 1976. In addition, all maps in the collection have been described and indexed in MARS, digitized, and most have been posted online on the North Carolina Maps website. This entry was posted in News, Special Collections and tagged County Records, Maps, MARS, Special Collections, UNC-CH on October 11, 2012 by Ashley.